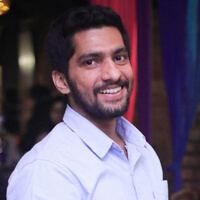 Kanik Nagpal is the CEO of Foodama. He has done BBA from Symbiosis, Noida and has attended summer school from London School of Economics. He started working on his business idea while he was in college. Foodama is an online food ordering portal in India where people can order food/drinks from a variety of restaurants in their area. Currently, its services are available in Delhi-NCR. Earlier, Kanik and his team were operating from a traditional office. Over there, they had to manage the entire office infrastructure, hire a guy to serve them coffee etc. Such activities made it difficult for Kanik to entirely focus on his business productivity. Soon, he heard about coworking and decided to test the services of Hustle Cowork. By joining Hustle Cowork, Kanik and his team are able to concentrate on their business and not worry about secondary activities such as cleaning, coffee and managing infrastructure. They also got a professional environment which has a positive impact on their business productivity. 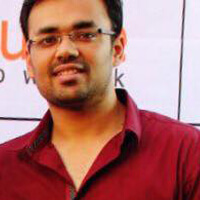 Nishant Yadav is the CEO of ASUOR. He has almost completed his Chartered Accountancy. Since his school life, Nishant has been working on various businesses and he started with ASUOR in 2015. ASUOR helps to empower businesses by providing affordable service packages to handle social media marketing on the client’s behalf. Earlier, Nishant was having difficulty in finding new clients. He had limited number of clients which was not profitable for his business. Also, he desperately needed a professional work environment. Soon, he heard about coworking and decided to test the services of Hustle Cowork. By joining Hustle Cowork, Nishant has gained a few clients which has been profitable for his business. He also got the professional environment that he needed which has tremendously helped him to improve his business operations. 2x increase in number of clients. 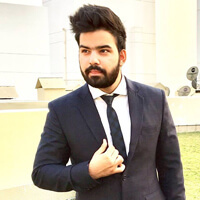 Nishkarsh Sharma is the CEO of Blisstro Videos. He has done B.tech (computer science) from Maharaja Agrasen College (Indraprastha University). The company was launched in 2015. Nishkarsh is also involved in teaching people on how to earn money on the internet through various courses and programs. Blisstro Videos creates animated videos for their clients that explain, sell and create a brand statement. Nishkarsh and his team knew that renting his own office will involve a lot of responsibilities such as managing the office infrastructure, paying bills etc. Such responsibilities can easily distract them from their core business. So, Blisstro Videos did some research on coworking and decided to join Cowork Delhi. But there was one problem. They didn’t like the environment and infrastructure of Cowork Delhi. So, they decided to test the services of Hustle Cowork. By joining Hustle Cowork, Blisstro Videos is able to concentrate on their business and not worry about secondary activities such as cleaning, coffee, managing infrastructure and paying electricity bills. Also, they like the environment and infrastructure which has a positive impact on their business productivity. 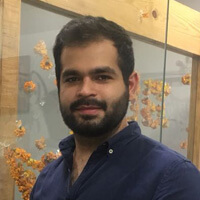 Bharat is the CEO of PrepZe. He has done B.E (Computer Science) from Delhi College of Engineering. PrepZe provide result oriented and feasible preparation courses for RBI Grade B exams and UPSC civil services. Bharat and his team knew about the added responsibilities (managing office infrastructure, cleaning etc) of renting their own office space, so they did some research on coworking and decided to test the services of Hustle Cowork. By joining Hustle Cowork, Bharat and his team got a nice and a managed office space at a very convenient price. Now, they can completely focus on their core business without worrying about any secondary activities (cleaning and office management). Anuj is a freelancer (web developer). He has done MCA from Maharshi Dayanand University (MDU), Rohtak. He provides various I.T. services such as developing website applications, PHP etc. Planetcreations is a one-stop solution. Our client base is global. Our on-site/off-shore business model enables us to transcend geographical boundaries and deliver quality solutions. Earlier, Anuj used to work at a traditional office. Anuj realized that he needed a professional work environment, where he can get inspired and motivated to work harder to improve his business productivity. He was also facing hiring problems and he desperately needed a solution for the same as well. Soon, he got to know about coworking and decided to test the services of Hustle Cowork. 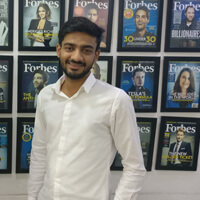 By joining Hustle Cowork, Anuj found a professional work environment where he got a chance to meet young motivated entrepreneurs who helped Anuj to improve his business productivity. Also, the HR of Hustle gave several solutions to Anuj in order to solve his hiring problem.